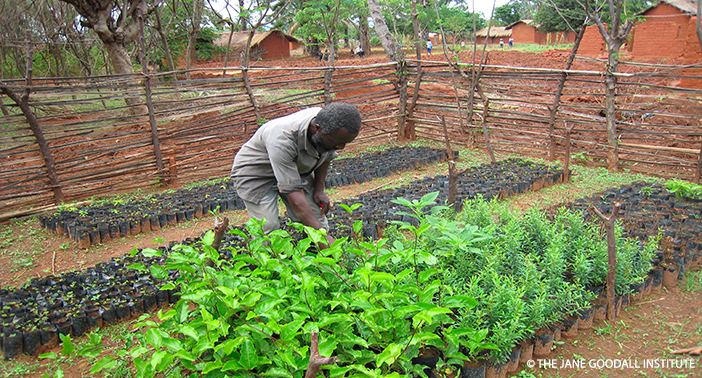 JGI also helps community leaders organize various environmental education campaigns with focuses on agroforestry, a practice which combines replanting deforested areas through species of plants that provide food, such as fruit-bearing trees. 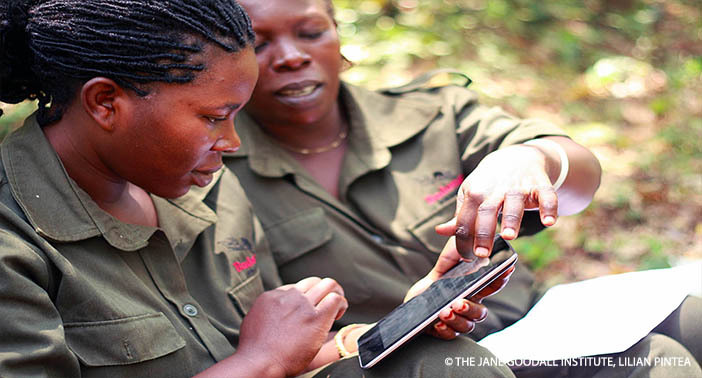 Rangers collecting data via mobile devices in Budongo Forest Reserve, Uganda. 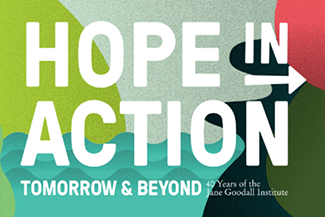 Source: the Jane Goodall Institute/ Lilian Pintea.